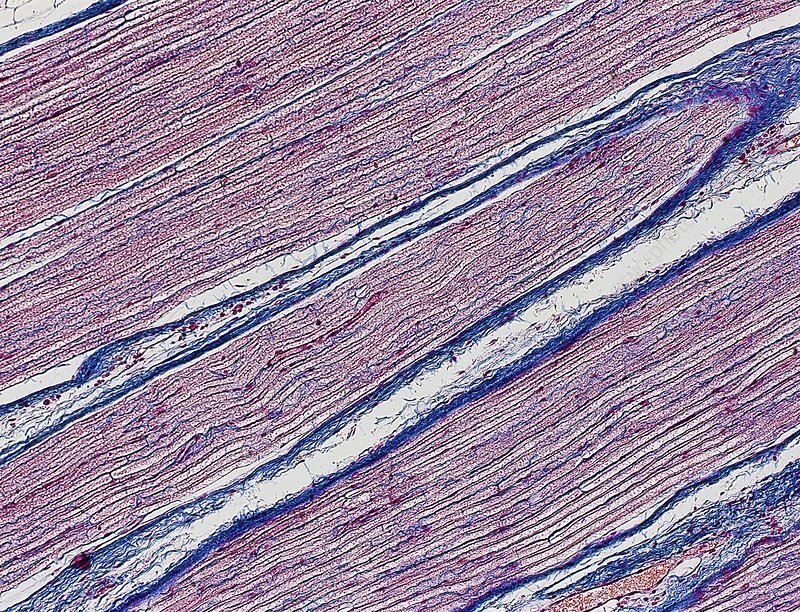 Light micrograph of a longitudinal section of a human sciatic nerve. Shown are the nerve fibres within irregularly arranged collagenous and elastic fibres. The sciatic nerve is the longest and widest single nerve in the human body, running from the top of the leg to the back of the foot. Horizontal object size: 1.2 mm.